Display Content from Your Own Device! The BenQ MW665 is just the right projector you need to perfect your presentations in all small to medium sized rooms. Featuring Colorific features—accurate, crisp, and long-lasting, WXGA resolution with 3200 ANSI Lumens and 13000:1 high contrast ratio, the MW665 also offers multi-wireless display with the Qpresenter Pro App and keeps your presentation lookin' great! Insert a BenQ WiFi dongle into the USB flash drive slot of your MW665, access the Wireless Display feature and display contents from your PC, MAC, iPhone, iPad or other compatible smart device. The QPresenter Pro software, developed with an accompanying app, is designed to support wireless projection from smart devices across all platforms from iOS to Android, by simply connecting the projector to a wireless dongle and linking the device to the projector via Wireless Display. This app can project various document formats, including PDF, PowerPoint, Word, Excel and image files. Through the Qpresenter Quick Connection feature, users can simply insert the WiFi dongle into the MW665 and select the Quick Wireless Connection on the laptop to instantly share their content without downloading any additional software. It is now easier and faster to seamlessly share control of the projector in a team presentation. 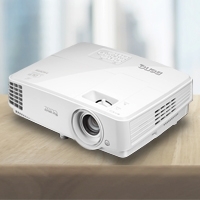 Offering lower TCO and optimized projection through dynamic power saving, uncompromised brightness, exquisite picture quality and optimized lamp life –SmartEco technology has perfected what a DLP projector can do. With this innovation, schools and companies are able to save up to 70% of lamp power consumption and lower maintenance costs through dynamic power saving features while bringing an ultra-vivid viewing experience into every presentation. With the built-in speaker, the MW665 can be used as an audio system when it's on the standby mode. This saves you the trouble as well as the extra budget for getting a separate audio system. When inactive, the MW665 keeps power consumption to a minimum with 0.5W standby power, achieving what was once a challenge for earlier projector models. This technological advancement in energy savings certainly helps extend the projector lamp life and lower energy costs. 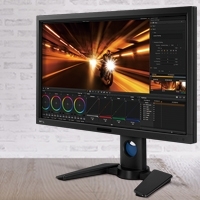 USB Display offers the plug-and-play convenience of a USB connection – with automatic resolution detection for the best image presentation and extension support for simultaneous multi-projection display. USB Drive Display allows teachers to teach light with a USB flash drive. All they need to do is save the files they need onto a USB flash drive and insert it in the MW665 to start teaching. File types supported are JPEG, JPG, BMP, PNG, GIF and TIFF. LAN Control is designed to help IT managers perform day-to-day projector maintenance and repair tasks efficiently and effectively – offering them full access and control over every projector directly from their workstations. The MW665 offers seamless support for the Crestron and the PJ-Link LAN Control systems. LAN Display offers a cost-effective solution for projector implementation management using a single LAN cable for control and display. 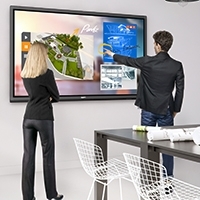 This feature also offers simultaneous 4-1 or partial projection display options for better content management for discussions, presentations, training and classroom teaching. BenQ DLP Colorific™ projectors are built with enduring enjoyment in mind, ensuring razor-sharp clarity, ultra-readability and true-to-life color for years to come. We use leading-edge DLP technology to reflect pure light from millions of micro mirrors on a DMD chip through our advanced color wheels to deliver over 1.07 billion accurate and crisp colors. Since the mirrors are colorless and protected within a sealed engine, BenQ DLP projectors have no aging problems and are virtually immune to image decay, consistently delivering long-lasting picture excellence time and time again. Even in lit venues, BenQ DLP projectors achieve the optimal balance of brightness and color accuracy, with BrilliantColor™ Technology additionally boosting true-to-life colors that captivate. BrilliantColor enables up to six-color processing by incorporating the secondary colors Yellow, Cyan, and Magenta along with primary Red, Blue, and Green. From intense hues to elusive mid-tones like aqua blues and light yellows, every presentation is rendered in pure, living splendor.